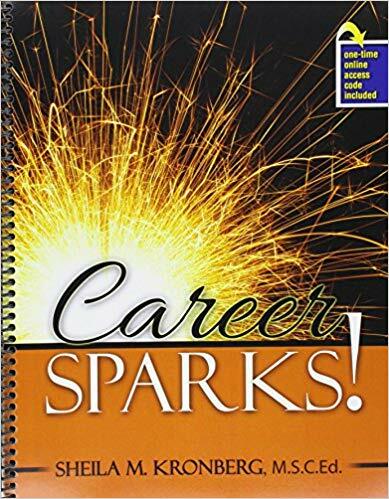 Fun Story: In spring of 2015 I was approached by a publisher to write a book on career exploration. I was teaching a class, had developed a nice curriculum which seemed to resonate with a fair number of my students. And it was actually helping to keep students on campus – Retention – YES! Despite all of this, I was quite hesitant about actually writing a book. I know quite a bit about career exploration, and I love doing research, as nerdy as that sounds. But writing a book? I wasn’t sure. That was the best advice I could have gotten at the time I most needed it. I realized what he was saying; we don’t have to be the top experts in our field in order to publish something. If we have knowledge we wish to share, put it out there. There might be someone out there who benefits from our knowledge, or adds to it, or corrects it. I realized that maybe I had a way of sharing some career knowledge that just might touch someone in a way that could help them. I just had to try. So I did. It was an arduous experience. I learned quite a bit. I’m sure my 2nd edition will be MUCH better than what’s currently out there. It’s not perfect, but you know what? I’m the d**n author. My point is, knowledge and research is great. But to me, it doesn’t matter unless I can share it with someone. My field requires me to develop a large hypothetical toolbox with with to help people. Different tools help different people in different ways. I have enjoyed learning about #DigPINS because it has enabled me to learn about new technology plus how I can take the knowledge I have, imperfect though it may be, and help others in new ways. And that allows me to gain continual career enjoyment.